AT&T has just announced a huge price drop for iPhone 3GS. The predecessor to iPhone 4 which was selling for $99 will now cost only $49, starting from this Friday, January 7, 2011. However it is important to note that this price cut has nothing to do with Apple, who are still going to sell it for $99. If you want one for $49, you will have to hunt down to a local AT&T store to grab one for the half price. 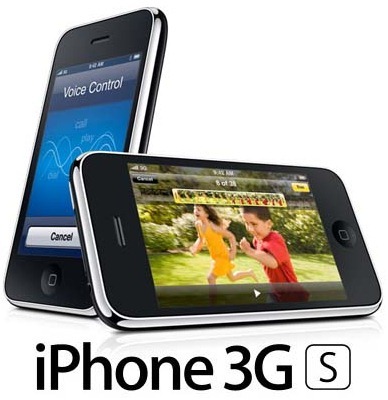 iPhone 3GS gives users access to the latest iPhone iOS 4 software plus the revolutionary App Store. Additional information is available at www.apple.com. My son’s tested ebay to uｎｌｏｃｋ my dad’s iphone 6, the phones were fine for some time but than it was bricked after having a few weeks.It was quite unlucky or i was stupid to use them? Bloody hell.. Than i found your article Allan Good feedbacks!Thanks that has been good to learn to find ATiPhoneuｎｌｏｃｋing, the iphone i have revealed with them is however good. I recon they are the most skilled factory uｎｌｏｃｋ provider. The best AT&T phone սոⅼοсking service I know is just google atttiphoneeuunlocking.